Program Description: Join us to celebrate and register for the library’s Summer Reading Program. Participants will make their own musical instruments and later be able to join with the Diata Diata International Folkloric Theater for a drum circle and musical games. We will have other special guests, craft activities and will also be providing families with Summer Reading Logs, book giveaways and ice cream! Date/Time: Saturday, June 2 from 3-5pm. Suggested Audience: This is a family event! Diata Diata International Folkloric Theatre, is primarily a ballet Africain modeled in preservation of traditional African heritage. The company was founded in Paris, France by Elombe Andre Badila, co founder of the First National Ballet of the Congo, and wife Pamela Badila, who met Andre after touring the Ivory Coast. 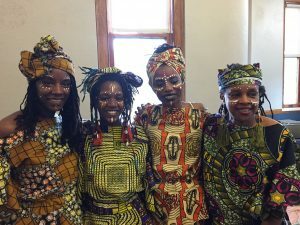 These days, Pamela is joined by several of her 10 children as they continue to perform educational concerts and cultural festivals throughout the Northeast. The library’s summer reading program is Mondays – Fridays, 10am – 12pm, from July 9 through August 10. In addition, there are special programs including those planned by the library’s Tween Advisory Council. Visit the library website (hudsonarealibrary.org) for more information. Diata Diata is an organization of seasoned performers who enjoy bringing a message of humble acknowledgement for all nature’s gifts. Programs are available to serve youth audiences and the general public with a focus on appreciation of the values derived from a healthy community dynamic. This is achieved through a variety of programs featuring music, song, dance, and folk life stories as established by our ancestors. This event is free and open to the public. It will take place in the library, which is wheelchair accessible. For more information email programs@hudsonarealibrary.org, call 518.828.1792 x101, or visit the main desk in the library. 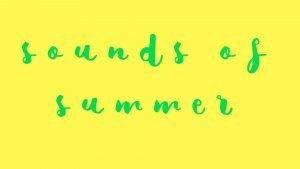 This entry was posted in Children, Programs, Summer Reading, Young Adults and tagged Diata Diata, Sounds of Summer, Summer Reading Program by smcintosh. Bookmark the permalink.